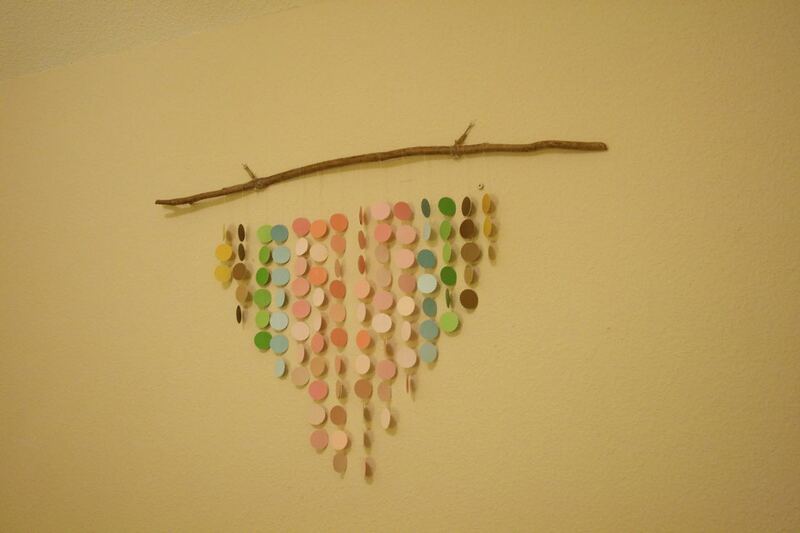 Over the past few years, I have made several things for the house by upcycling stuff. Much of it was throw away or free stuff, but I felt like it had a new purpose. This has become my favorite house decorating strategy because, first and foremost, it's inexpensive. 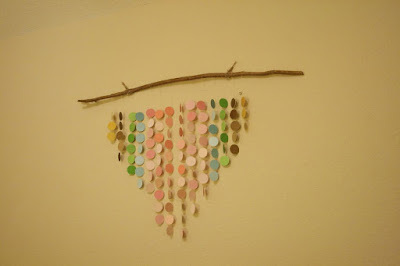 But it's also fun to create something unique for your space! This is not a how-to post. I wish I were that intentional. ;) But it is merely to inspire you to look around your house - or your neighbor's trash - and see what you can repurpose for decorating! I found this scrap wood on my neighbor's curb after they ripped out an old deck they had in the backyard. 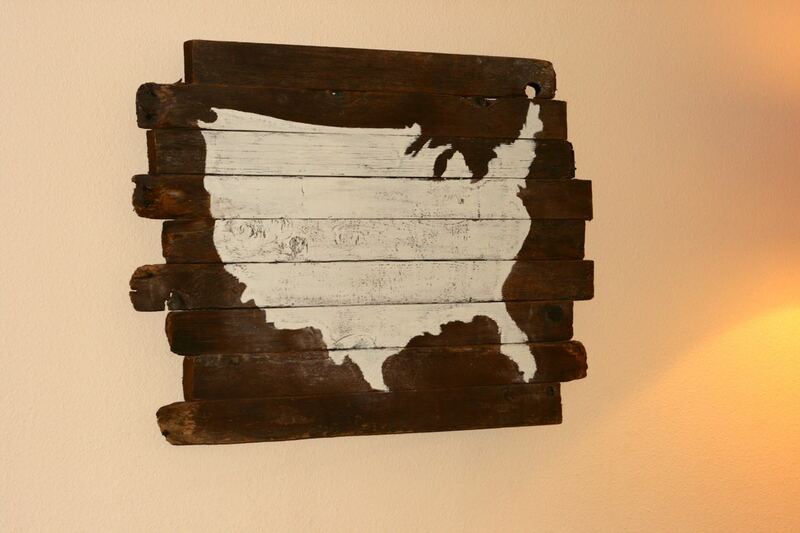 It was great wood, it just needed a new life as a rearranged background for the Good 'Ol USA. It hangs in my office/entry and I love its rustic and patriotic feel. These Mega Bloks were headed to Goodwill because my boys are now into "big kid" Legos. 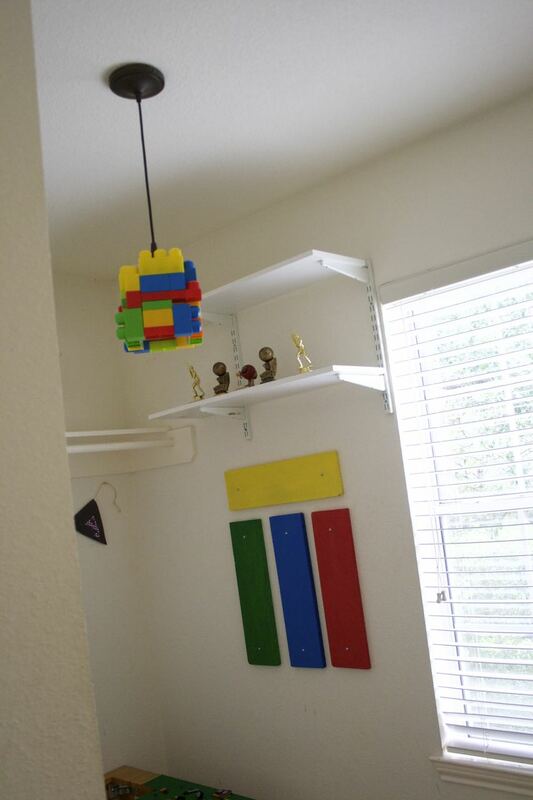 For my son's 7th birthday, I completed cleared out his walk in closet and made it "The Lego Room", which meant the door could be closed and I didn't have to see the mass of legos scattered all over. It also keeps it closed off from the baby, because Heaven knows the last thing I need is a 14 month old swallowing Legos! 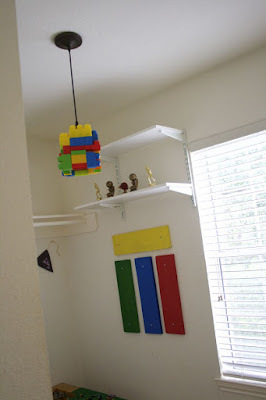 I made it from leftover Mega Bloks and a new fixture from Lowe's. Lowe's has some great pendulum lights with glass square globes for about $30. 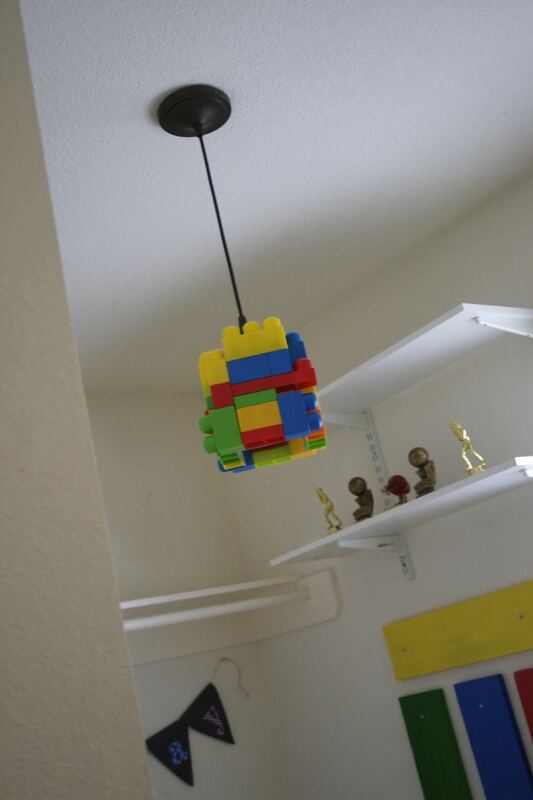 Go to work on it with some heat-safe Gorilla Glue and presto - Lego Light! This pallet bookshelf took a little work but it was worth it in the end. My neighbor gave me the pallets and my husband helped me to nail them together how I needed them. Then I went to work sanding, staining, and painting it. 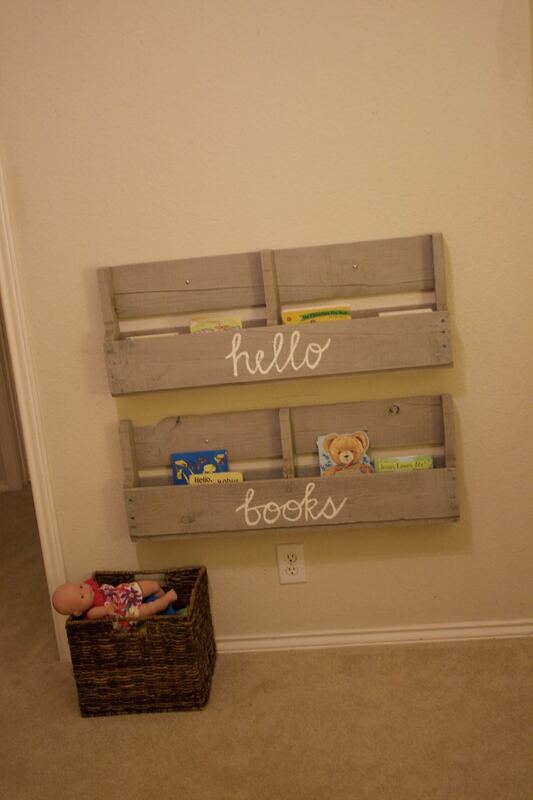 It is the perfect bookshelf for the baby's books. She can reach in there and pull one out anytime. 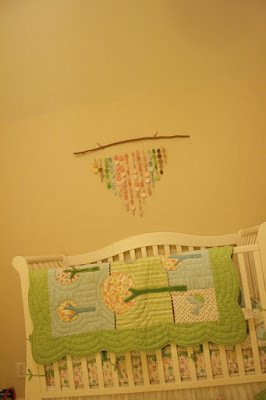 Thanks to a stick from my backyard and some paint sample papers from Lowe's, this centerpiece in the nursery turned out lovely. This took a long time to get right - I won't lie! It was a tedious project. 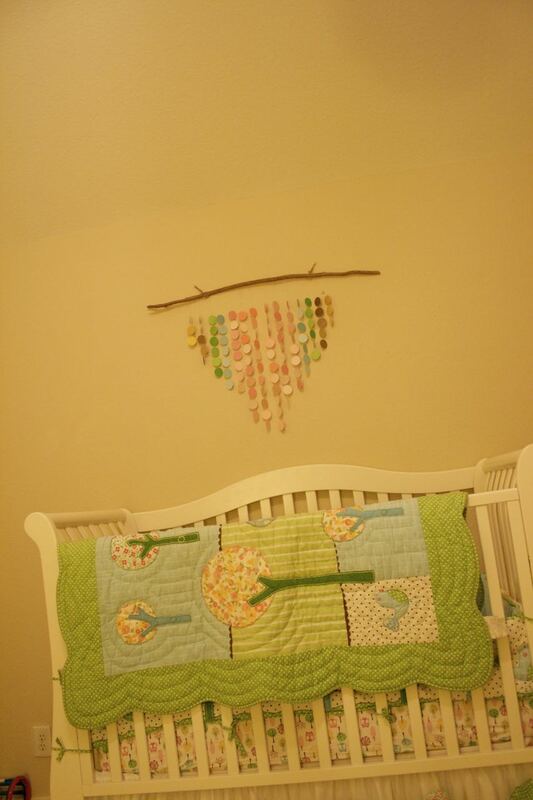 But I love the organic and colorful pop it adds over the crib. Here's a closer look at the paint papers (cut with a circle puncher), thread holding them together, and gradual color differences in the colors. Love it! And it was virtually free. This project was one of the first I completed. 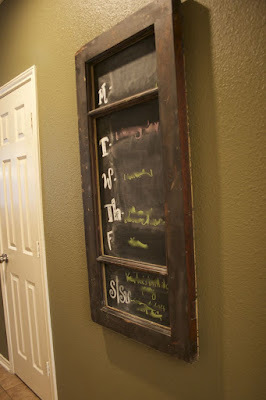 I found this great old window frame at an architectural salvage store, then painted a thin piece of chalkboard to nail behind it. It's the perfect piece for a weekly family calendar! Now, Y'all go browse Pinterest, get some ideas, and then dig through the neighbor's trash to get some materials to make something fabulous!